Trying to be the best at something is the American way. Students work hard to earn 4.0 GPAs in college or straight As in high school. Athletes compete to get the highest scores and the best statistics, and then the highest paychecks. Employees strive to outperform their professional competition, thus increasing their market value. There’s nothing wrong with challenging yourself and having a lofty goal. Yet, when it comes to credit scores, aiming for perfection is thankfully unnecessary. Nonetheless, it’s still a goal which many hope to attain. FICO and VantageScore are the two most commonly used brands of credit scores in the United States and have been for some time. The credit score ranges, or scale, for most of their respective scoring models is 300 to 850. 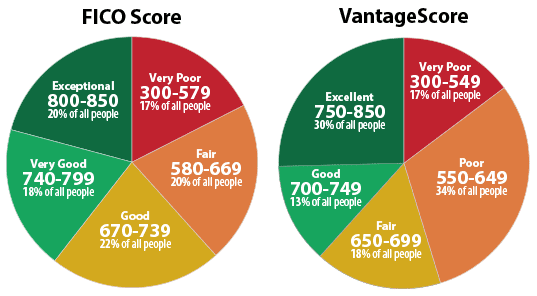 Both VantageScore and FICO Score models use a 300 to 850 range for credit scores. Higher credit scores signal to lenders that you are a lower credit risk, a good thing if you want to qualify for great rates and terms when you apply for financing. A lower score indicates elevated credit risk, which means more punitive terms and conditions if you’re able to qualify at all. Earning a perfect 850 credit score is rare, but not impossible. The first step is to understand how credit scores are calculated and how to earn the maximum number of points. Both FICO and VantageScore credit scores are widely used, but they’re not the same because they’re created by competing companies. Both scores consider the information on your credit report at the time the scores are calculated. Both scores are designed to do the same thing, which is to indicate the probability that you will become 90 days past due, or more, on any credit obligation within the next 24 months. All credit scores are calculated from the same information contained within your credit reports. Both FICO and VantageScore dilute your credit report into different categories when calculating your score and assigns a different value to each. The largest portion of the points in your FICO scores, unsurprisingly, is based on your history making or missing payments. If you want to earn an 850 credit score, there is no room for error in the payment department. Collections, bankruptcies, and other derogatory information are all deal killers if your goal is to attain the perfect credit score. In the VantageScore credit score model, payment history is worth 40% of your score points and the same adage holds true, that you better max out the points in this category or the discussion of perfect scores becomes a moot point. Nearly as important as your payment history is how you manage your debts. One of the common myths propagated by some so-called financial gurus is that credit scores reward you for being in debt. That’s demonstrably false and misleading. Credit scores do not reward you for debt, but instead, reward you for maintaining responsible amounts of debt and conversely penalize you for having too much high-risk debt. Your utilization ratio should be 25-30% for a good credit score, but closer to 0% for the perfect credit score. All in, the debt-related category accounts for roughly 30% to 35% of the points in your FICO and VantageScore credit scores. You can have installment loans (e.g. 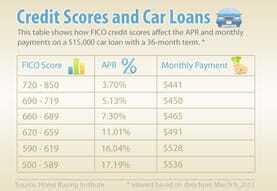 mortgages, auto loans, student loans) and still earn perfect credit scores. When it comes to credit card debt, however, your debt will need to remain either extremely low or nonexistent. 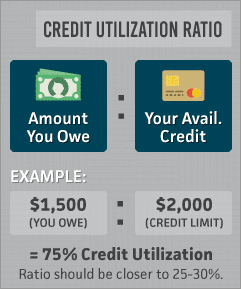 The revolving utilization ratio on your credit cards needs to be close to 0% for a perfect credit score to be possible. This ratio is the relationship between your balances and your credit limits expressed as a percentage. For example, if you owe $5,000 on a credit card that has a $10,000 limit, your revolving utilization ratio is 50%, which isn’t good. Next down the line in terms of credit score importance is the age of your credit history, which accounts for roughly 15% of the points in your scores. Neither FICO nor VantageScore considers your actual age thanks in part to restrictions set forth in the Equal Credit Opportunity Act or “ECOA”, but the age of the accounts on your credit reports does matter. In terms of credit scoring, the older the accounts on your credit reports, the better. If you have a young credit report you won’t be able to earn an 850 score until the accounts become more seasoned. Additionally, opening new accounts too frequently can stall your quest for the perfect 850 score as both FICO and VantageScore consider the average age of the accounts on your reports. Every time you open a new account, the average age of your accounts goes down. 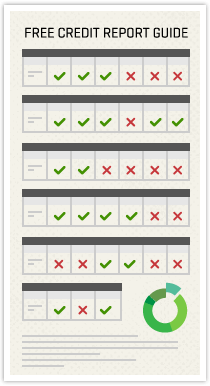 The final two categories considered in your credit scores are both relatively minor, comparatively speaking. Of course, if perfection is your goal, then even minor credit score factors will matter to you. The mix of accounts on your credit report and the number and type of credit inquiries account, collectively, for about 20% of your score points. You will need to have experience with revolving and installment accounts if you want to max out your score. And you must be careful not to apply for too much new credit within any 12-month period because inquiries can lower your scores. If you miss the mark in either of these two categories, then an 850 won’t be in the cards, although you can still earn fantastic scores. To earn a perfect credit score, your credit report will need to indicate that you are void of credit risk. What that means is no negative information, little to no debt, no recent inquiries, a mix of account types, and decades of credit experience. That’s the DNA of a perfect score. Having said that, you do not need a perfect credit score to cash in. Once your credit scores have reached 760 or higher, you should be able to qualify for the best rates and terms that lenders have to offer on any type of account. The best auto loan rates can generally be obtained with a credit score of 720 or higher. The best auto loan rates are available if you’ve got scores at or above 720, which is only 20 points above the national average. The best mortgage rates are available if your scores are at or above 760, which is more difficult to earn because you must do exceedingly well in all of the score categories. Still, when it comes to calibrating your expectations, it makes sense to shoot for 850, inasmuch as you don’t start to obsess over it. And you have to be careful not to ruin an already stellar score. It’s much easier to lower a 790 than it is to improve a 790. So, at some point, you just have to be happy with your elite credit scores, even if they aren’t perfect.